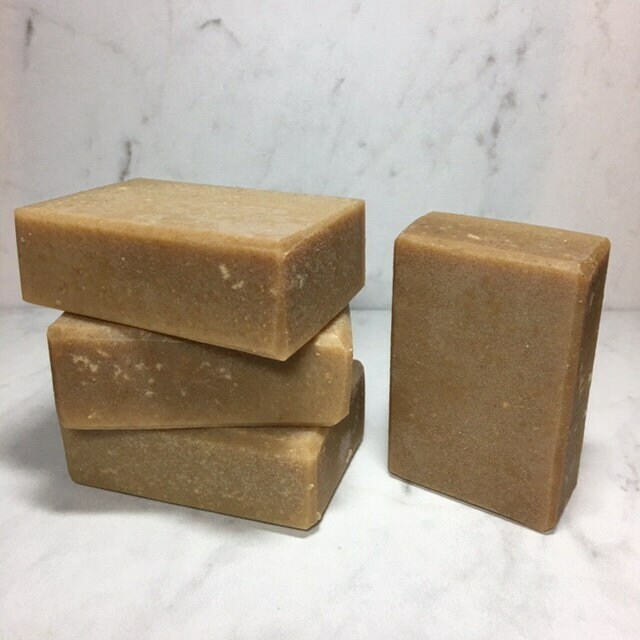 Oatmeal Honey & Cinnamon Goat Milk Soap... Oatmeal is soothing and helps relieve dry, itchy skin. 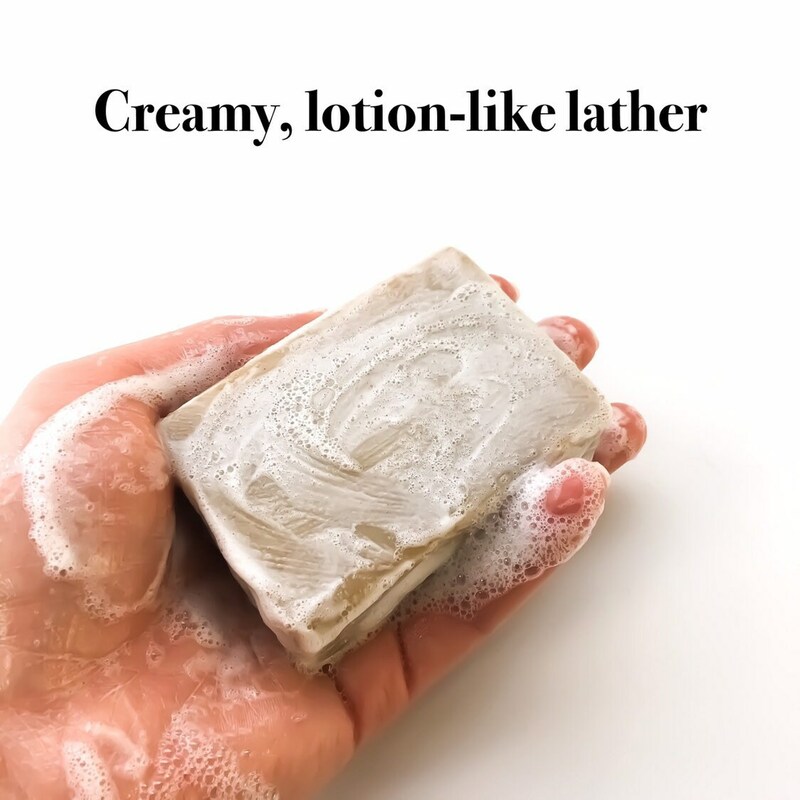 This soap has a rich and creamy lather. A gentle cleansing formula with the sweet aroma of honey with finely ground oats, lightly scented with cinnamon leaf and clove bud essential oils. Luxurious silk and creamy shea & cocoa butters give a velvety, silky feel. You'll love the lotion-like lather this soap gives, with lots of creaminess from the local raw goat milk used (from Belleville, PA - Amish Country). This is one of our best-selling soaps during the cold winter months! 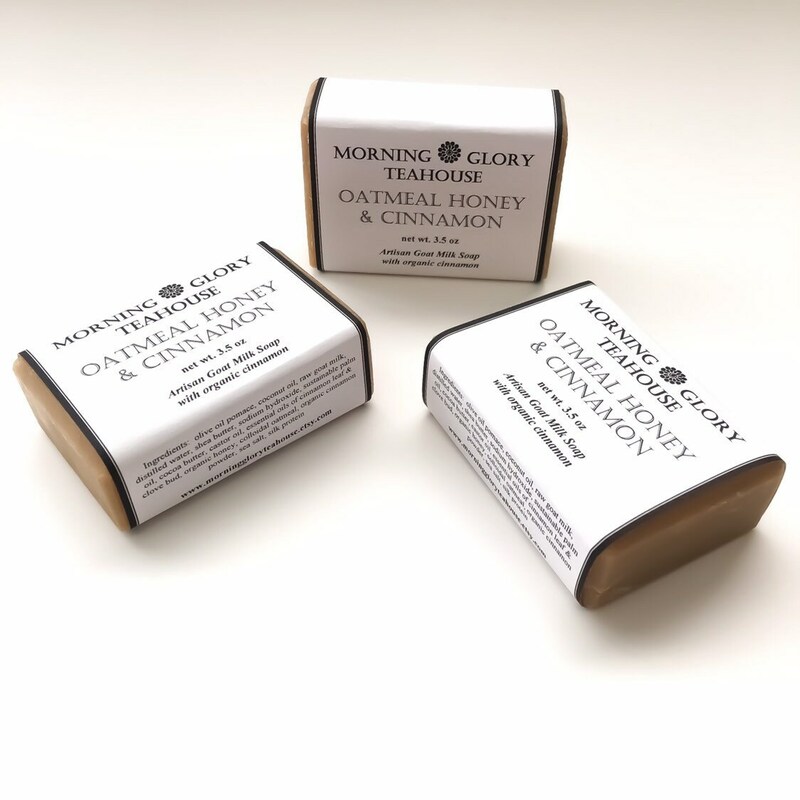 This soap is lightly scented with cinnamon & clove essential oils, but for those sensitive to cinnamon, we also offer a gentle Milk & Honey Goat Milk soap with finely ground oat flour - no scent is added. Most of our handmade soaps are lightly scented with organic or wildcrafted essential oils, so they're great for those sensitive to artificial fragrances. Just a subtle, pleasant aroma while showering or bathing. 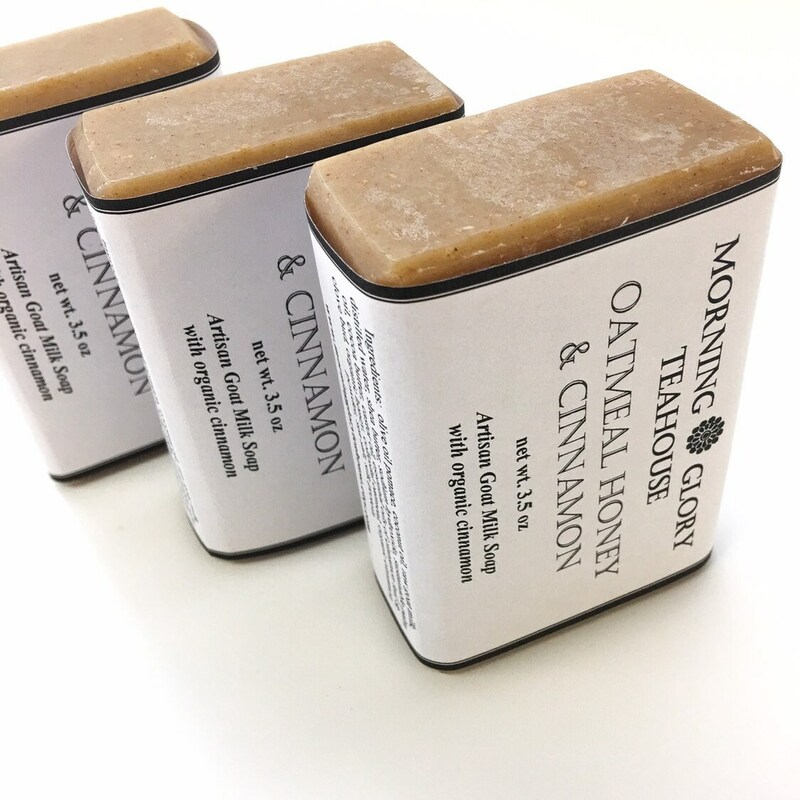 Each handmade bar of Oatmeal Honey & Cinnamon soap weighs at least 3.5 oz net weight, or more. Each is hand cut and beveled, so the look and weight may vary slightly. Soap measures approximately 3" long x 2" wide x 1" thick. All of our soap bars are labeled for gift giving. We use breathable paper labels for packaging my handmade soap – 100% recyclable, biodegradable, and compostable. Handmade soap needs to breathe! I can’t believe how quickly this arrived. Such attention to the packaging.